And then there are BIG trees! To find out the difference, one must travel to northern California and visit the three areas that host the largest stands of redwoods. -- Jedediah Smith Redwoods State Park just outside of Crescent City, CA. Crescent City is on the California coast just south of the Oregon border. 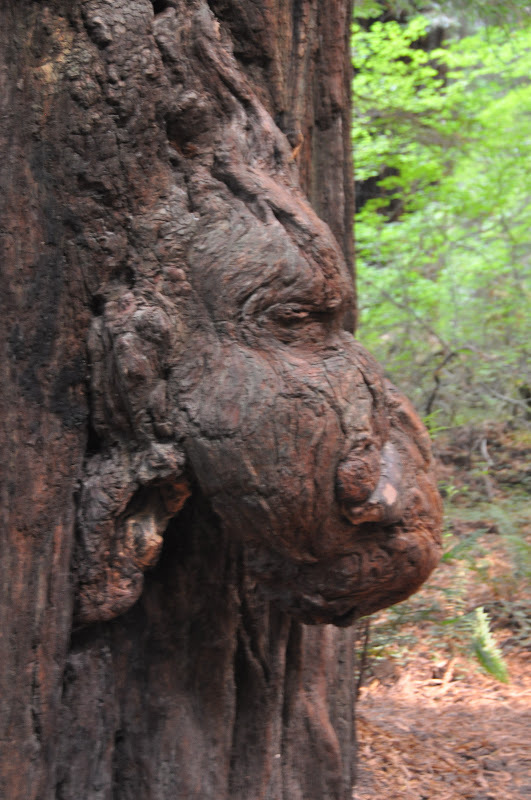 -- The well promoted "Avenue of the Giants," a 31-mile drive through the heart of Humbolt Redwoods State Park, that runs just north of Garberville to just south of Fortuna. The road parallels US 101. On a previous trip to the northern coast, my wife and I only got as far north as Mendocino. For years we have thought about making the trip farther north in order to see the big Redwoods. Earlier in our trips out west we did visit Sequoia National Park in southern California which hosts stands of giant trees. But this most recent trip was dedicated to the northern area and also touched on Oregon, going as far north and spending the night in Coos Bay. We stopped in Crescent City and visited the park visitor's center and garnered information on what to see. The ranger wanted to know in which direction we were going and what was our destination for the night. We told him it was Eureka, which was to the south. I don't know that I should have said that, but everything worked out OK. It was about 3 p.m. in the afternoon and I guess he wanted to make sure we reached our nighttime destination before the sun went down. 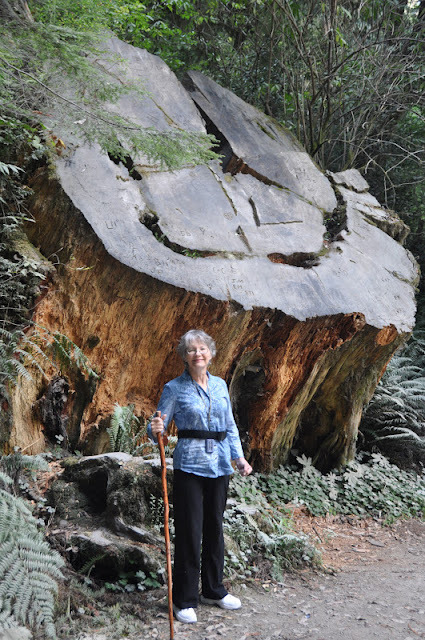 He directed us to the two stands of redwoods that were farther south, telling us that if we visited them, we would have seen two of the three largest stands of trees. I asked him where the third was and he indicated it was just a few miles away. I had previously read an article on the internet about such a stand just south of the Oregon border. I asked for directions and am I glad I did. We immediately headed to the Jedediah Smith park and were extremely impressed. The byway was a six-mile gravel road that had a speed limit of just 15 miles per hour. But who would want to go any faster. Those traveling the area will find it hard to drive faster, not just because the road isn't built for a higher speed, but that the trees are so awe-inspiring, one must take it easy just to be able to grasp their grandeur. The road's path was determined by the location of the giant behemoths as it wound in and out, among and around. The trees look even bigger when one gets out and has their picture taken with one of the giants. We took our time, and even though the sun was going down, we had plenty of time to experience that park as well as Prairie Creek where we saw a herd of elk. We spent the night in Eureka and the next morning got off kind of late. We managed to take in other sights and about half of the Avenue of the Giants before we had to set out for the coast and Shelter Cove where we had reservations for the night. 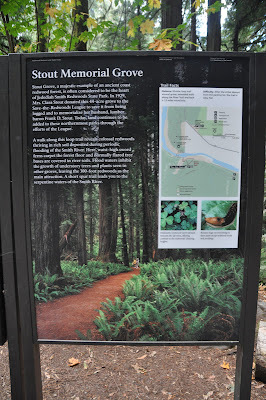 The next day we backtracked and covered more of the "Avenue of the Giants" which we will touch on next week.